This announcement coincides with the organizations latest campaign, “Scout Me In” that features girls, as well as boys, in the Cub Scout program. According to the press release, more than 3,000 girls across the nation have already enrolled and are participating in Cub Scouts and Scouts BSA ahead of the full launch later this year. 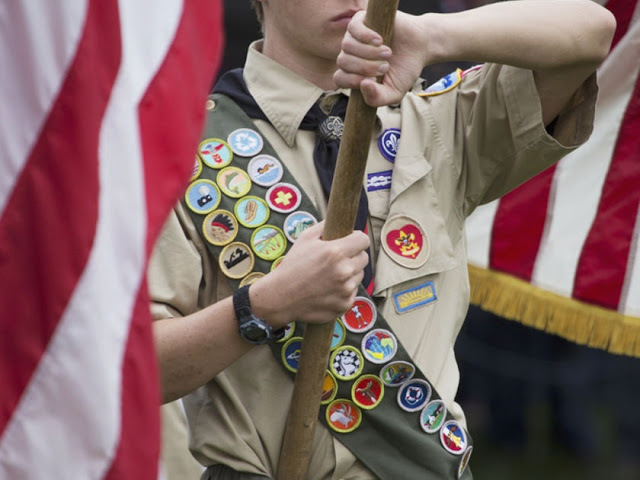 CNN reports that the more than 100-year-old organization has voted to welcome girls into its Cub Scout program and to allow older girls to pursue a path to Eagle Scouthood. In a statement, the BSA said, "The historic decision comes after years of receiving requests from families and girls. [T]he organization evaluated the results of numerous research efforts, gaining input from current members and leaders, as well as parents and girls who've never been involved in Scouting—to understand how to offer families an important additional choice in meeting the character development needs of all their children." It's an interesting move after the highly publicized tension between the Boy and Girl Scouts. Especially given the timing of the announcement on International Day of the Girl. Just recently, the GSA issued a terse statement chiding the BSA for going after its female recruits. Kathy Hopinkah Hannan, the president of the G.S.A., had written a letter to her counterpart Randall Stephenson at the B.S.A., which said, in part, "I formally request that your organization stay focused on serving the 90 percent of American boys not currently participating in Boy Scouts." It seems the boys didn't listen. In response, the Girl Scouts tweeted out a strong message that talks up its strengths versus the Boy Scouts. The GSA also pointed to its prestigious Gold Award in a second tweet, noting it's only available to Girl Scouts. It's worth noting that the decision to welcome girls into its ranks doesn't mean the BSA is now going to be completely inclusive. In a statement the organization explained, "Cub Scout dens will be single-gender—all boys or all girls." Which seems to maybe, possibly defeat the purpose of taking gender out of the membership equation. But that's just my take. In the end, I agree with the part of the BSA's statement that says, "Families today are busier and more diverse than ever. Most are dual-earners and there are more single-parent households than ever before, making convenient programs that serve the whole family more appealing." Less driving and coordinating of schedules? I'm on board.